NASA on Friday cut a spacewalk short after astronaut Tim Kopra reported water had formed inside his helmet. Kopra along with British astronaut, Tim Peake, were tasked with repairing a broken solar power unit, which had been down since last November. This is the second time a spacewalk has been cut short due to water accumulation inside of an astronaut's helmet. NASA said neither astronaut was in immediate danger, but mission managers decided to terminate the walk for safety reasons. The spacewalk was scheduled to last six hours, but it ended early Friday morning after 4 hours and 43 minutes, according to NASA. Kopra and Peak, with the help of astronaut Scott Kelly, will now retrieve a water sample from the spacesuit in an effort to determine how the water formed inside of Kopra's helmet. While the spacewalk was cut short, the main mission was actually accomplished. 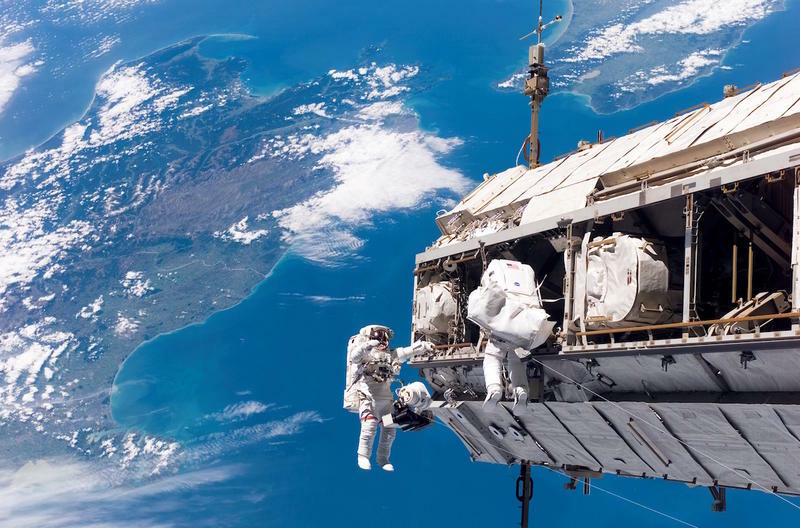 Last week, when NASA announced the spacewalk, the agency said replacing the failed voltage regulator was actually pretty simple (as far as repairs on the International Space Station are concerned). The eight solar panels, which feed electricity into the station, should now be fully operational.